- KAIROS Blanket Exercise - Third Edition - Now Taking Orders! The third edition of the KAIROS Blanket Exercise is now ready for your orders! This interactive piece explores a history of Canada most of us never learn, and invites us into to understand the nation to nation relationship between Indigenous peoples and newcomers in this land. It features an updated script for grade 9 through adult participants, and a new script for grades 4-8 children and youth. It includes creative ideas for events and conversations, suggested by experienced Indigenous and non-Indigenous facilitators. The third edition also includes a free downloadable kit of supplementary resources. Visit the KAIROS shop to download a PDF or order a print copy of the full 52 page book, which includes both scripts, maps, and lots of process ideas. We've kept the price as low as possible at $6 for a PDF and $15 for the print booklet, and are happy to discuss bulk print purchases. If price is a barrier, please let us know. Special thanks to our partners at the Assembly of First Nations and across Turtle Island for making this new edition possible even as the Blanket Exercise celebrates its 16th birthday. Many thanks also to the Donnelly Foundation and the St Stephen's Broadway Foundation for funding much of the work that led to these renewed versions of the Blanket Exercise. 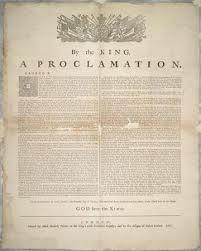 For more information on The Blanket Exercise please visit our web page. KAIROS� latest briefing paper evaluates the strength and weaknesses of the recent report from the Intergovernmental Panel on Climate Change (IPCC). It cites a new study by climate scientist James Hansen showing how burning just one-third of remaining fossil fuels would make the Earth uninhabitable. 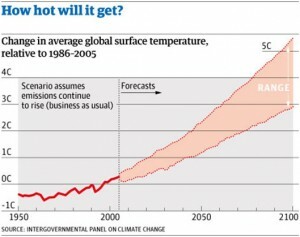 The paper describes how both the carbon budget suggested by the IPCC and the International Energy Agency�s calculations highlight the need to keep most known fossil fuel reserves, especially from the tar sands, in the ground. It concludes with a discussion of tar sands export pipelines and feasible alternatives for reducing our dependence on fossil fuels. The week started with the building of the Wabanaki Confederacy lodge. It is a beautiful Lodge and a lot of work was put in by the Wabanaki. Each Nation was expected to bring their flag. The ceremonies began with the Grand Entry to the Lodge. Kokom Rose brought her staff and had an opportunity to explain the items that were important to her and all the Algonquin Nation. The Wampun Belts were hung in the center ring inside the Lodge as well as all the Pipes. The Warriors and Clans entered first, then the Kokoms and young women. There was the lighting of the pipes, reciting a creation story in their language and singing of a welcome song by the host Nation. Although it rained for the first two days, it did not dampen our spirit. The women met separately and had a discussion about the struggles that we all seem to be having at this time. The ceremonies continued throughout the day. It was a very heartfelt sharing of our feelings and concerns with other First Nations. Alma made us feel very welcome and we had good food for the days that we were there. Needless to say, we were very tired when we returned to our hotel which was a ten minute drive. In February, we were invited to attend a North American Indian Caucus meeting somewhere in the East Coast. And then in May, we might have a chance to send one Kokom to go to the United Nation to give a presentation. If our funds permit, this could be a reality. Since then, we have been to an All Chiefs meeting in Wahgoshig that was sponsored by our Tribal Council. In meeting with the Kokoms, it was felt that our leadership need guidance and unity. We would like to thank you once again for your help in funding this trip to Lake George, New Brunswick. Please keep in touch and keep us informed of any other opportunities where we can provide support to a good cause. The Nation to Nation Tour Thanks You For Your Support!! Your contribution was key to making the 2013 Nation to Nation Bike Tour a success! Thanks to you, twelve young change-makers learned more about what it means to be leaders in advocating for Indigenous rights, while also inspiring people in the eight host communities they visited with their message of hope for a better future. After five days of orientation in the Mohawk community of Akwesasne, the bike tour hit the road for 14 days, stopping in towns along the Saint Lawrence River and ending at the Tyendinaga Pow Wow. En route, tour members staged three public events featuring the Blanket Exercise, and participated in a series of workshops and learning activities. Your donation made all of this possible. With your support we were able to include tour members from remote communities such as Kitchenuhmaykoosib Inninuwug in northwestern Ontario, and to prepare and equip those young riders who had never participated in a bicycle tour. We are very grateful that you chose to invest in these committed and passionate individuals. Your generosity helped them to gain some of the valuable skills, experience and knowledge that will serve them well as they continue to work for justice. Please check out some photos and the tour blog to get a better idea of the project. Charitable receipts are being issued for all donations of $10 or more and you can expect to receive yours by mail in the next couple of weeks. Registration for Elements of Justice is now full! Elements of Justice: KAIROS InterGenerational Gathering 2013 will be held October 24-27 on gorgeous Squamish Nation Territory, north of Vancouver! To read full bios for our speakers, download a poster, learn more about the program, please click here. If you have not yet done so, please "like" the Facebook page KAIROS Canada Gathering and join in on the exciting conversations and announcements around the upcoming gathering. KAIROS partner Naty Atz Sunuc has returned to Guatemala after an unforgettable experience at the Truth and Reconciliation Commission National Event in Vancouver. 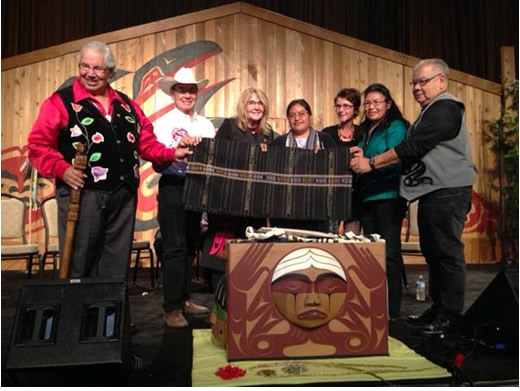 Naty was inducted as an Honorary Witness at the TRC’s opening ceremony on September 18th. As a Maya Kaqchikel victim and survivor of the civil war in Guatemala, and a respected human rights defender, Naty was able to speak with genuine solidarity and empathy about the importance of truth telling and the need for reconciliation. The TRC National Event was an incredible journey, from the canoe ceremony at the beginning of the week, to the opportunity to listen to and accompany survivors during their testimonies to the Commissioners, to the Walk for Reconciliation with thousands of people and church groups at the end of the week. We have posted photos on facebook to help document this experience. Naty won the hearts and minds of people at the TRC. Many survivors thanked her for travelling so far to hear their testimonies and to provide international witness. There was an immediate connection between Naty and Indigenous sisters and brothers in Canada on so many levels- in history, in resilience, in ceremony and also physically. Many people approached Naty and said, “You look like my sister, my cousin, my aunt...” At times the connection was so strong there was no need to translate. Family separation is one issue being explored at the United Nations in New York, October 1-5, as migrants and their allies converged to discuss how to help decision-makers understand that justice must be part of any discussion on migration issues. KAIROS' Connie Sorio attended, along with more than 90 delegates from around the world who are participating in the 4th Churches Witnessing with Migrants (CWWM) consultation. KAIROS has office space available for rent. Four modern cubicles with a desk, filing, and storage space will be available for occupancy on October 15, 2013. Three cubicles are approximately 8 x 8 feet; one is approximately 5.5 x 8 feet. Rent is $500.00 per month per cubicle and includes use of meeting rooms, lunch room, and photocopier. Large print runs on the photocopier will be charged separately. Renters are responsible for their own telephone, internet, and computers. 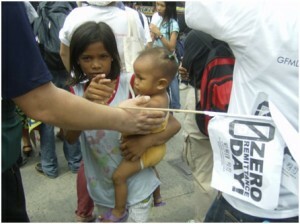 KAIROS is an ecumenical organization that works on social justice issues. Organizations and individuals who work on similar issues will find this an attractive space to work and network. The space will suit 1 or 2 charitable or non-profit organizations. Our offices are located on the second floor of 310 Dupont St., Toronto, a 3 minute walk from the Dupont subway station. Limited paid street parking is available. Giselle del Rosario at 416-463-5312 ext. 229 (gdelrosario@kairoscanada.org). We will be happy to show you around! Maliseet Grandmother Alma Brooks is a long time activist for the rights of her people and gifted at building alliances with a diversity of groups across cultural and historic divisions. She would like to leave something for the young people that will give them hope and direction and so is working to rebuild the Wabanaki Confederacy. 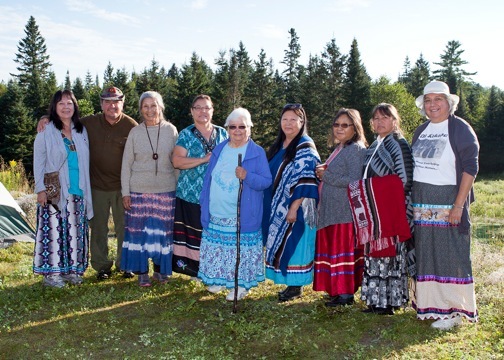 The Confederacy brings together members of the Maliseet, Passamaquoddy, Penobscot and Mi'kmaq nations as well as allies to rebuild traditional alliances and governance structures. 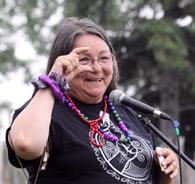 She has spearheaded two six day Confederacy Conferences that have included building the Wabanaki Confederacy Lodge, rekindling the sacred fire, sharing teachings and giving the appropriate places to Grandmothers, Clan Mothers, Clans and Warriors within the Lodge. Alma works closely and is supported by KAIROS Atlantic and the national office both in her work to rebuild the Wabanaki Confederacy and through many KAIROS events and workshops especially around water and resistance to fracking in New Brunswick. It is KAIROS' privilege and honour to be able to support the work of this visionary elder. 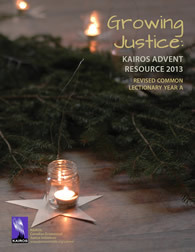 This year’s resource is also framed around the Waldorf school’s tradition of the Advent Garden, which encourages a contemplative exploration of our relationship with creation, and culminates in the building of an Advent Garden in which the whole community will journey on the fourth Sunday of Advent. The resource features collaboration with the Stephen Lewis Foundation for the first Sunday and worship materials (prayers and/or scripture commentary) from all 8 denominations represented in KAIROS. “Growing Justice” is available in both print and PDF formats. - Detailed scripture commentaries addressing both the scripture themes and the justice focuses. 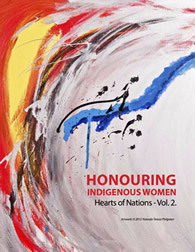 We are very excited to announce the recent release of Honouring Indigenous Women: Hearts of Nations - Vol. 2, published by the Sound of my Heart Collective. This beautiful and deeply moving anthology includes creative writing and visual arts by Indigenous women alongside their allies from many nations across Turtle Island (North America). It was made possible by over 60 writers and artists reflecting and sharing their lived experiences related to their relationships with the land, birth mothers, families, communities, and themselves. It is fitting that we highlight and read this resource now, around the time of the national Sisters in Spirit vigils on October 4 . As we remember the missing and murder Indigenous women in Canada, we grieve and we demand justice. We also honour Indigenous women in their creative resilience and their courage, which is so beautifully reflected in this book. KAIROS Women of Courage program is honoured to have been able to contribute to this publication. For more information and to purchase your copy, visit the Sound of My Heart Collective website. Your contribution will help sustain the important work of this collective. Learn more and/or purchase this amazing volume by clicking here. KAIROS' Executive Director Jennifer Henry reflects on how “tâpwêwin”, a concept that is translated as “speaking from the heart”, needs to be met with 'heart listening', which requires an embodied listening which "hears resistance, courage and contribution, and not only victimization." Click here to make a donation to KAIROS today.